She didn’t tweet to this day but her account has been already verified. … but not HKT48 ! During one of her showroom, she said with a teary face that she will quit college and will focus on her idol carreer. To be frank, we could be suprised about such decision. It’s ordinary the contrary. Also, She doesn’t have much work within HKT48 these days. But if her dream is to become a full time idol and if she has to put aside her study, then I will fully support her. *Hiwatashi Yui, she’s now 17 yo ! Hiiwatan was born on the 30th april, in Saitama. She was a member of the second draft (1st may 2015). She has been choosen to be part of Team A on the 10th may 2015. She has been promoted to Team A the 10th february 2016. She took part of the AKB48 A-side “Tsubasa wa Iranai“. Go check her Twitter account ! 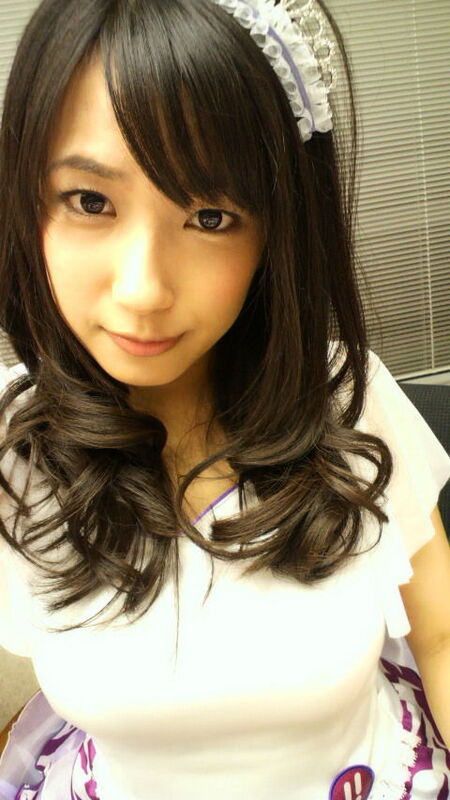 *Sato Seira (ex-SKE48), she’s now 25 yo ! Sato Seira was born the 30th of april 1992, in Mie. She was part of the 1st SKE48 generation (july 2008). She has been promoted to Team KII on the 25th may 2009 and transferred to Team S on 13th april 2013 (SKE48 Team Shuffle). She announced her graduation on the 17th january 2014 and left the group for good on the 27th february of the same year.